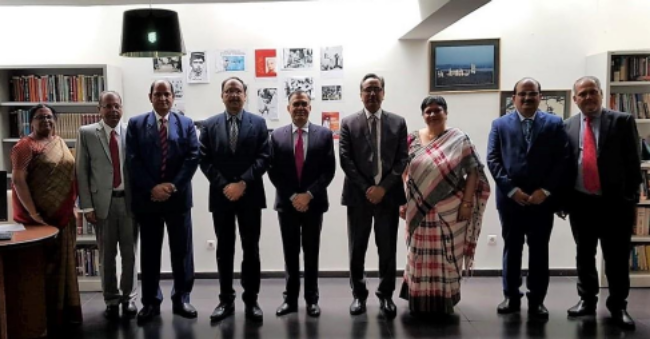 A 7-member delegation from India's National Bank For Agriculture And Rural Development (NABARD) and NABCONS, led by Chairman Dr. Harsh Kumar Bhanwala, made a five-day visit to Angola at the invitation of the Development Bank fo Angola (Banco de Desenvolvimento de Angola BDA). 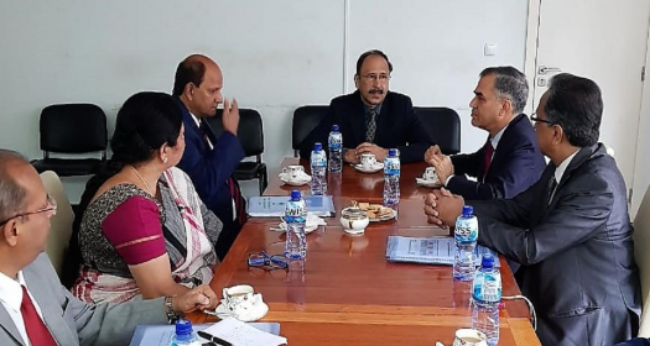 Chairman Banwala and members of his team called on Ambassador Srikumar Menon in the Embassy of India on 19 November to brief the latter about the agenda of their visit. The team provided an overview of proposed interactions with Angolan entities during their visit from 19-23 November 2018. Besides having interactive meetings with senior officials of the Development Bank of Angola (BDA) and representatives of other government agencies, the delegation's programme also included visits to 3 PTF projects in Waku Kungo, Cariango and Quibala in Kwanza Sul province.